This season, we're expecting some wonderful books that will either chill you or thrill you. There is something for every reader. My choices tickled my fancy because they all have elements of humor in them. I am not sure where the phrase "the dead of winter" came from, but it might suggest that a good murder mystery is what is called for to lighten up the dark days. Andrea Camilleri's sardonic sense of humor is always something to look forward to, and I tend to grab a translated copy hot off the presses. 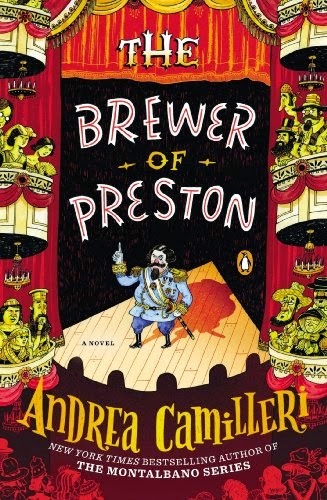 The most recent, The Brewer of Preston (translated from the Italian by Stephen Sartarelli; Penguin, December 30) is a departure from his usual Inspector Montalbano series, but it looks like it has Camilleri's custom blend of humor and misbehavior. It takes place in his favored location but in a different time. It is still Vigàta, Sicily, but the story takes place in 1874. At this time, Vigàta is under the rule of the prefect of Montelusa, who has decided to build a new theater. The first production is to be an opera called The Brewer of Preston. You would think that the townspeople would be happy about this. Not necessarily so. Apparently, the old cliché about not pleasing everybody holds true. The choice of this particular opera upsets several groups in the town. They cry that it's too obscure, it's too mediocre or it's not traditional. Suddenly, cabals and gangs and cliques are formed, some having good intentions, others bent on mischief. The members of these brigades each want to put their own stamp on the opening of the theater. Plots, subplots, vendettas and conspiracies begin boiling throughout the town. The new theater becomes the target for variety of pranks and misdemeanors, including a fire that flashes through the building shortly after it opens. Camilleri is a master of comic misadventure and this book should brighten any winter's day. Sicily isn't the only place where rivalries and disputes are par for the course. In Norman Draper's Backyard (Kensington, November 25), which is set in the Midwestern suburban town of Livia, there are feuds and conflicts a-plenty to liven the days. This is a town where there's something in the water that has created more green thumbs than garden gnomes. This is also a town where gardening is the raison d’être and the competition for best garden is keen. Nothing is more likely to upset the status quo than the announcement about a best yard contest run by a local nursery. It's not long before the gardening elite begin to engage in a not-very-subtle form of suburban warfare. Aside from the bragging rights, there's to be prize money. Many of the gardens reflect their obsessive owners' personalities and there are reputations and more at stake––like relationships and marriages. It is a charged landscape as late-night surreptitious forays into competitors' gardens result in sabotage perpetrated on innocent flowers and imitation Edens. 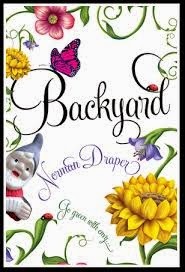 The story promises to be darkly hilarious, with descriptions of beautiful plants and flowers that will have you dreaming of spring. 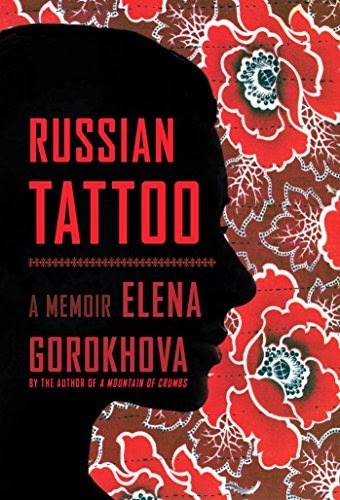 I can think of a lot of reasons to avoid a Russian winter, but Elena Gorokhova has better ones and, in a memoir, she tells the story of why she left Mother Russia during the Cold War era of the 1980s to come to America. In Russian Tattoo: A Memoir (Simon & Schuster, January 6), Elena recreates how, when she was in her twenties, she met and married an American teacher, Robert, who moved her to Austin, Texas. 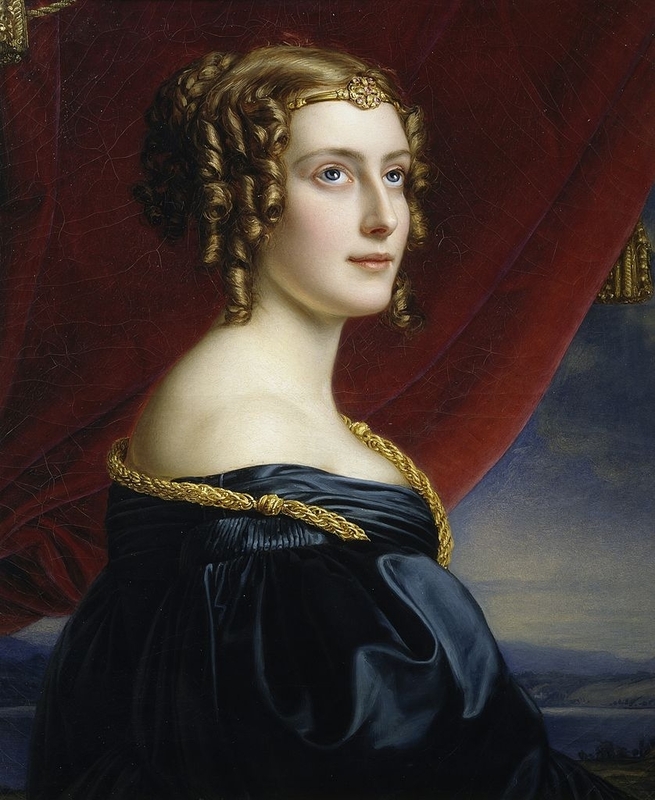 She was anxious to leave the privations and the day-to-day difficulties of living in a struggling country. It turned out to be a case of "marry in haste and repent at leisure," though, because Robert was basically cold and detached. Not that Elena missed her mother––she didn't––but in Texas she was a fish out of water, wearing her homespun dress and trying to overcome the negative images that the locals had of Russians. Her mother-in-law, who lived in Princeton, New Jersey took her in and things began to look up. She found her feet, teaching English as a second language to Russian immigrants in New York City, and a new romance came into her life. I'm looking forward to this depiction of the immigrant's point of view, with a mix of rays of sunshine and some frost. I always look forward to Alan Bradley's latest. 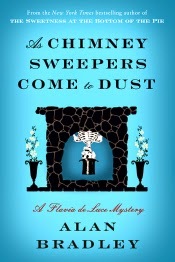 This year it is As Chimney Sweepers Come to Dust: A Flavia de Luce Novel (Delacorte, January 6). When we last left Flavia, she had been informed that she was going to be sent to a boarding school in Canada once attended by her mother, Harriet. Being sent to Miss Bodycote's Female Academy seems to Flavia to be a punishment as well as banishment, but the budding chemist and sleuth is now 12 years old and her family feels the move will help her learn about things that she would never encounter at home. After crossing the ocean and part of the North American continent, she begins to settle in her new digs when a charred and mummified body tumbles out of the bedroom chimney. This is like a gift to Flavia and she's raring to go on the hunt for the victim's identity at the same time as she tries to make new friends––maybe a few enemies. Aside from rumors that the Academy is haunted and that the headmistress is an acquitted murderer, Flavia hears that several girls have disappeared from the school without a trace. Detecting is mother's milk to Flavia, and she is up to the task as she is still unaware about what her destiny has in store for her. Go Flavia! 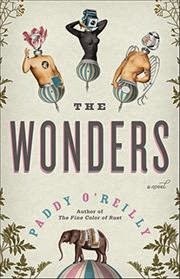 If Robertson Davies's World of Wonders or Sara Gruen's Water for Elephants fired your imagination, you might be intrigued by Paddy O'Reilly's The Wonders (Washington Square/Pocket, February 10). What do Leon, a young 20-year-old man with severe heart disease; Kathryn, an Irish woman with Huntington's disease; and Christos, a failing Greek performance artist, have in common? For one thing, their lives are close to over and, for another, they want to keep on going. Leon is given a mechanical heart, which is a thing of astonishing beauty created from brass and titanium, and its lub-dub can be seen through the door built into his chest. Kathryn gets gene manipulation that cures her disease but causes her to grow thick black wool over her body. Christos had removable ceramic wings implanted in his back. They all come under the influence of Rhona Burke, the daughter of a well-known American circus impresario. She wants to turn Leon into a superstar. Already hounded by journalists, they are deluged with offers of fame, money and immortality. She promises that they will not be sideshow freaks. Then she whisks them away to a Vermont mansion surrounded by walls and barbed wire. Under her expert guidance, the three become The Wonders. It isn't long before they become a global sensation. As they become celebrities, without having done anything to deserve it, the trio also quickly finds that fame is addicting and full of loneliness but, even worse, it is dangerous. 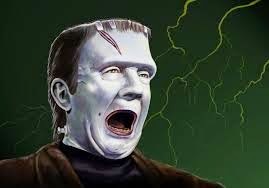 These are modern-day Frankensteins, monsters not exactly of their own making. Whether done willingly for the sake of art, unwittingly as a result of medical treatment or for the sake of staying alive, there are consequences to the actions that transformed them. The story revolves mostly around Leon, who is shy, quiet and otherwise unremarkable. He struggles with anxiety and, at the same time, the treachery of fame. But the main actors of the tale are the public, who fawn over the Wonders and then hate them, abuse them, stalk them and adore them; that's the way of fame in our age. We are going to get well acquainted with severe weather days in the next few months. This is a story that should transport you to a very different reality. 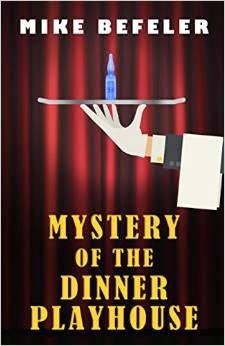 A slightly quicker read is Mystery of the Dinner Playhouse (Five Star, January 21), by Mike Befeler. Gabe Tremont has retired from the police department, and his wife's reaction to his being underfoot is to make a very long list of things he can do outside the house. The best thing on the list is an evening out at the Bearcrest Mystery Dinner Playhouse. Dave suspects that, as is the convention, the butler in the play would be the villain. Gabe gets a surprise after the play is over when the butler, actor Peter Ranchard, is found murdered offstage, poisoned with cyanide. Gabe jumps back into the saddle, takes charge of the case and finds he enjoys the chase more than retirement. Murder mysteries about theater folk are fun because the characters are usually eccentric, and larger than life. Befeler has been writing a humorous geezer series and now he brings that style to a new character and story. Vintage mysteries are favorites of mine. Most stand the test of time but a few don't. It is personal characteristics of the authors that I appreciate but I must admit I overlooked these similes. 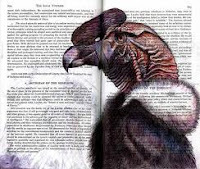 I have a few Macdonalds yet to read so I will be on the lookout for some.